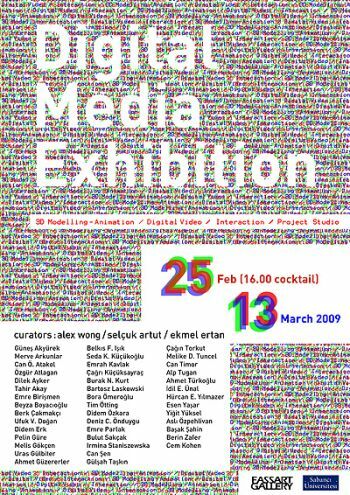 Sabancı University / FASS - Visual Art and Visual Communication Design Program. 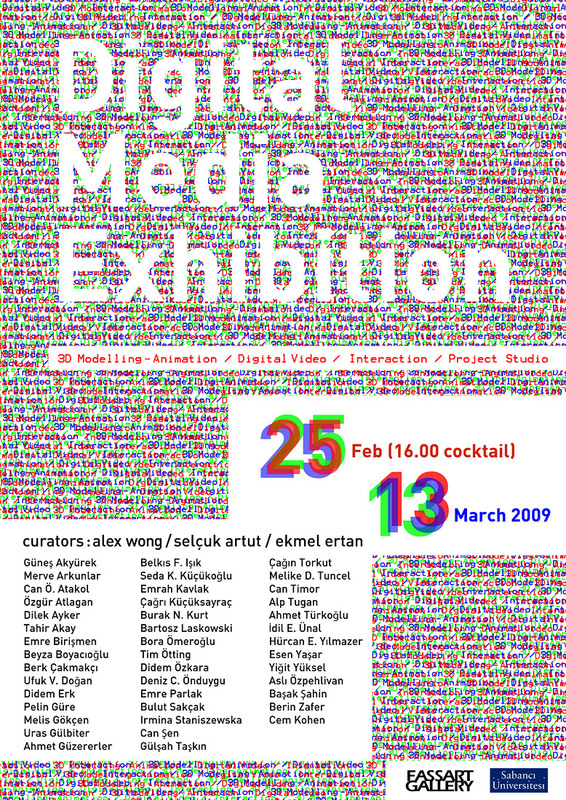 A joint exhibit curated by Alex Wong, Ekmel Ertan and Selçuk Artut, from 25 February – 13 March at FASSART gallery. Digital Media Exhibit works include 3D Modeling-Animation, Digital video, Interaction, Project studio works by senior and graduate VACD program students. To recognize the benefits of learning advanced digital media and master the software, knowledge in technical, aesthetic and conceptual aspect. The course is based on design to provide a visual look at the various concepts going into the production of modeling and animations. 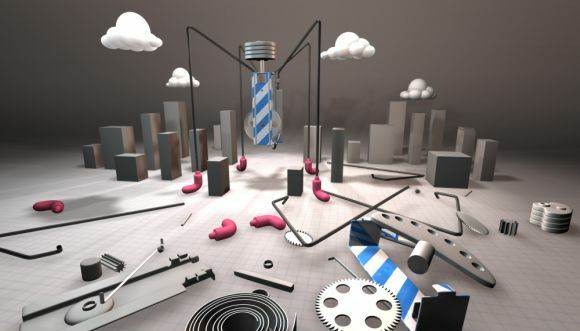 The main focus is to understand digital 3D modeling tools, ways of modeling, modeling techniques, texture mapping on various modeling geometry and modeling for animations. This course introduces students to the making of storyboarding, script writing, cinematic video, and video editing. Through the course of study, students become familiar with the language of videography and filming to support their discussion of various genres, alternative modes and purposes of storytelling base on creative fictional theme. 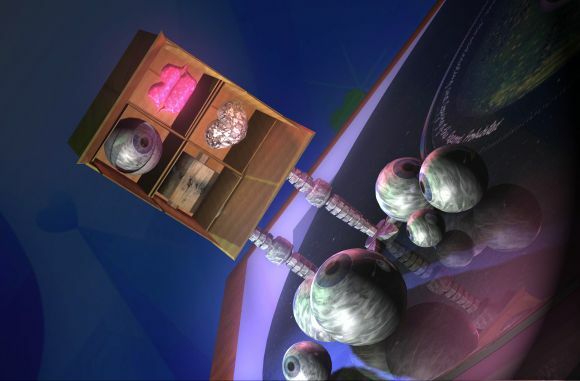 SonicFields explores an immersed sonic experience in a virtual 3D environment through a 2D flat screen surface. With its user-centric accumulation points, SonicFields-as its name proposes- is a remediated 3D soundscape, a model of sonicworld with multitude of sounds emerging from various vibrations. Allegorically speaking - sound is a prey, wandering around us and our ears become fragile microphones awaiting for a hunt. In SonicFields environment, our journey becomes an adventure of seeking for appropriate sounds from a range of possibilities for our personal soundscapes. Every sphere in SonicFields represents a sonic tree with variety of fruits on its branches, we hope those who walk in SonicFields would also fill their buckets with a plentitude of fruits of their like. In the first term of project studio III course I aimed at teaching fundamentals of screen based interactive media design and hands-on capabilities to create applications. Students learned using authoring tools, and gained deeper knowledge on nature of digital media and user interaction. 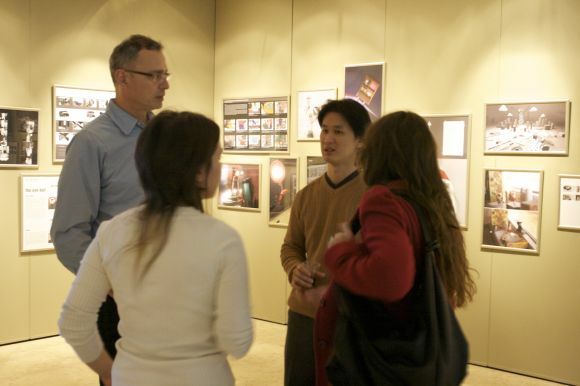 Students worked to enhance their design competence in digital medium as well as technical skills. They learned basics of scripting in flash environment as well. 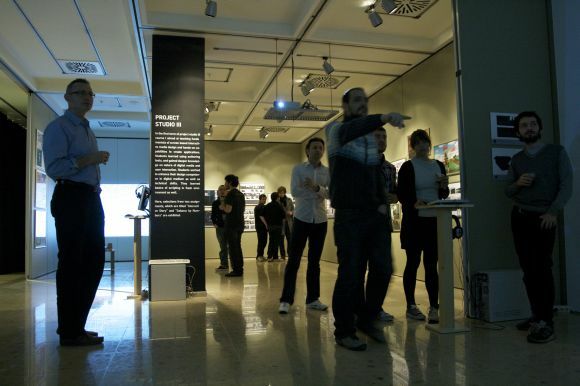 Here, selections from two assignments, which are titled “Interactive Story” and “Sabancı by Numbers” are exhibited. Alex Wong - alexw@sabanciuniv.edu / Tel: 90216-4839276.